Title: And Now... The Thing! 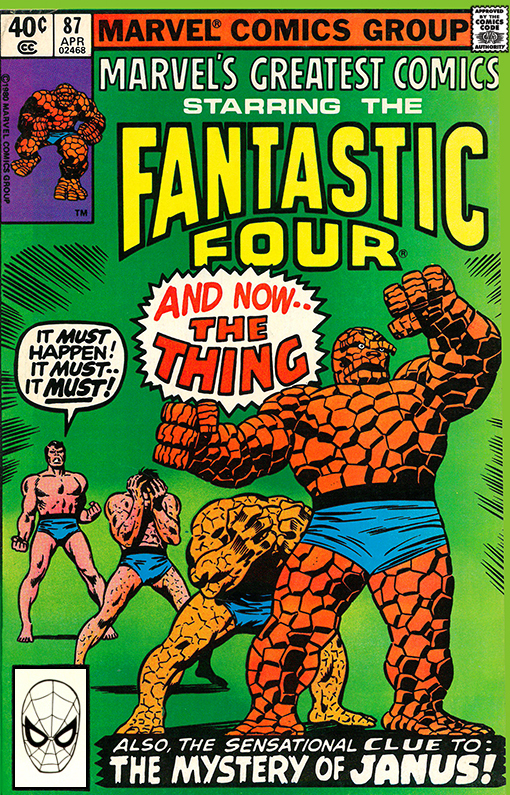 Synopsis: Marvel's Greatest Comics #87 reprints Fantastic Four #107 (February 1971) in which Reed Richards cures Ben Grim of being the Thing. Or does he? Plus the villainy of Janus who enters the Negative Zone and becomes The Most Dangerous Human of All!